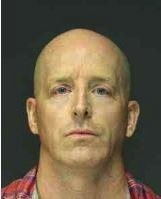 On June 28, the Orangetown Police Department Detective Bureau along with the New Jersey Union County Prosecutors, arrested 49-year-old Erik Johnson of Sparkill on a warrant as a fugitive of justice. Between March 6 to March 23, Johnson allegedly knowingly distributed one or more images depicting sexual exploitation or abuse of a child and knowingly engaged in sexual conduct, which would violate New Jersey statutes. He was processed at Orangetown Police Headquarters and remanded to Rockland County Jail until extradition. On July 2, a bicyclist was struck by a vehicle in Airmont near Cherry Lane and Heather Drive. The vehicle involved fled the scene before officers arrived. A fire chief from the Tallman Fire Department happened to be in the area and helped track down the vehicle near North Airmont Road. The driver was a 59-year-old female from Airmont. She was charged with assault, leaving the scene of a personal injury accident and a DWI for drugs. The bicyclist went to the local hospital with non-life threatening injuries. Darwin Alexandre is wanted for an incident that occurred in February. The 24-year-old is wanted for criminal impersonation, identity theft and false personation. The 5-foot-11-inch black male is 145 pounds with brown eyes and black hair. The Ramapo Police are currently investigating an unattended death of a 62 year old male, New Jersey Resident. The male was found in the wooded area straddling the NY/NJ border between Stag Hill, NJ and Hillburn, NY. The incident originally started as a search for a missing person who had an existing medical condition. The male was last seen at 3 PM heading to the woods for some recreational riding on his ATV. Mahwah and Ramapo Police began the search from their respective sides of the border after pings of the males cell phone showed him stationary, and calls to the cell phone went unanswered. Due to the rugged terrain the N.J. Search & Rescue Unit, and The Hillburn Volunteer Fire Department assisted in the search by supplying trained personnel and all terrain vehicles to transport police and medical response teams. Mahwah Police found the male first and reported his location. Ramapo Police and Rockland Paramedics then responded and the male was declared deceased. Ramapo detectives are currently investigating, they are being assisted by the Rockland County Sheriffs BCI unit, and the Rockland County Medical Examiners Investigations Unit. The males identity is being withheld until next of kin are notified. The Ramapo Police Department is reporting the arrest of Robert Green, a 19 year old male from Nanuet, NY. Green is charged in connection with a Robbery that occurred on the evening of Wednesday, June 28th. The incident occurred in front of a residence on Chestnut Ridge Road, located within the Village of Chestnut Ridge. 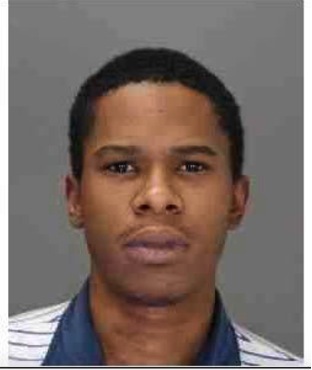 The Ramapo Detectives Unit, with the assistance of Clarkstown PD, concluded an investigation and subsequently Green is also being charged with the unlawful possession of a loaded firearm. Green is currently in custody at the Ramapo Police Dept. and is awaiting arraignment on both charges.